Rev. Jerry one of our best Hawaiian ministers. 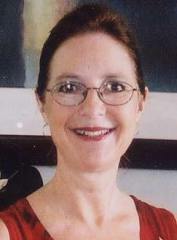 Cynthia Smoot is a non-denominational minister licensed in the state of Hawaii, whose specialty is writing custom wedding ceremonies for each and every couple who is looking for something fresh…new…incredibly romantic. I am a non denominational minister who respects and serves all faiths. Commissioned by the State of Hawaii. We respect and serve all faiths. 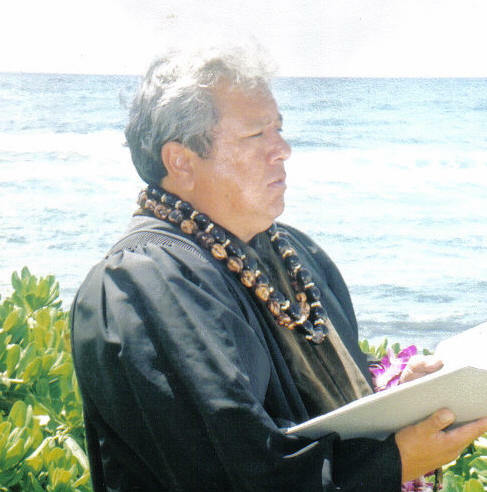 I have been officiating weddings on Oahu since 2004. Hawaiian, non-denominational, Christian or mixed cultures. I am more than happy to officiate ceremonies for those who are not able to enjoy the legal aspects of Marriage and to those who just choose not to. I oli, blow the conch and I am presently a student with a halau directed by Kumu Hula Ainsley Halemanu. Pomaika‘i performs traditional Hawaiian wedding ceremonies and serves as a Kahu for many local businesses and families needing Hawaiian blessings and/or clearings. 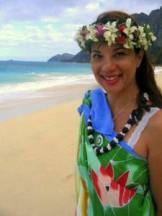 She administers Hawaiian Lomilomi massage as a Kahu. 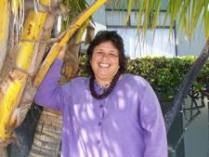 She also provides personal counseling in her role as a non-denominational alaka’i, or guide, counseling that at times includes Ho‘oponopono, opu huli treatments and shell healings. Pomaika‘i’s work is rooted in infinite aloha (love) and has a profound effect on her clients, facilitating the healing of body, mind and spirit. Please Add $200 to any package to have this very special minister at your Oahu wedding. Send an email below and ask for more information. 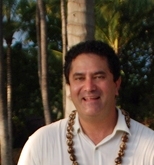 Randy is Hawai’i born and raised in Honolulu and is a 1967 graduate of the University of Hawaii with a degree in education. He met his wife Elaine in 1969 in Waikiki and were married at He’eia State Park in 1972 in Kaneohe with a Hawaiian wedding ceremony. Randy is retired from United Airlines where he started his career as a flight attendant in 1970. 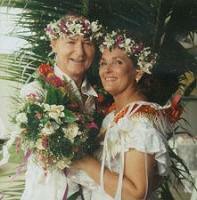 Reverend Mark Kurnow has performed over 20,000 weddings in the Hawaiian Islands. When a minister was needed for Regis and Kathy Lee in 1994, The Food Network in 1999 and Blind Date in 2005 they called Mark. For over 24 years, Mark’s experience and laid back demeanor have been a source of confidence and peace for couples as they begin their new lives together. He is happy to tailor your ceremony to suit your ideas, personal views and culture. Hawaiian/Japanese ceremonies available, too. Everyone loves Mark! 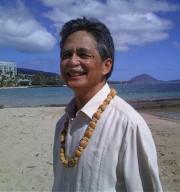 Mark has been a pastor on both Maui and Oahu.